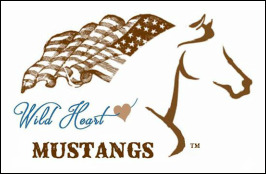 "We are a 501c3 non-profit Veteran Service organization that offers equine assisted therapy for service members, veterans and their immediate families." Founded in 2014 by Karen Dalton, Dare To Dream Ranch supports our homeless and at risk veterans to help them achieve their dreams. EQUINE THERAPY- The purpose of animal assisted therapy is to provide interventions that would not be possible with only a human provider. Equine assisted Psychotherapy utilizes the horse's responsive nature as a therapy tool. They are naturally curious, have individual personalities, and mirror human behavior. The structure of provides a unique atmosphere for the client to work through personal challenges. EAP provides clients with in-the-moment experiences to learn how to manage current situations and future challenges with a focus on personal strengths and resources. In this experiential based therapy it is by interacting with the horse that the Veteran gains greater insight into themselves through experiencing natural consequences, successes, and mistakes. There is something to be learned at every step of the process. NUTRITION AND HEALTHY COOKING- Learn how what you eat affects your energy, thinking, libido, and your overall health and well being. Learn how to cook what you grow. REFLEXOLOGY- Application of pressure to the feet and hands with specific thumb, finger, and hand techniques without the use of oil or lotion. it is based on a system of zones and reflex areas that reflect an image of the body on the feet and hands, with the premise that such work affects a physical change to the body. EXERCISE-Builds strength, confidence and improves your mood. YOGA- Body-based work, such as yoga, increases a sense of awareness, safety and mastery over one's body while building skills to effectively interpret and tolerate physiological and affective states. JOB INTERNSHIP- Resume writing training, Interview training, Coaching, Job internship opportunities. HYPNOTHERAPY-Used to create subconscious change in a patient in the form of new responses, thoughts, attitudes, behaviors or feelings. HORTICULTURE THERAPY-Learn to grow your food organically, and reduce stress and anxiety. Go beyond sustainability to integrate and connect people with their natural world. FLY TYING AND FLY FISHING- "It was something you could go through and for a couple hours you could forget what you've been going through and just refocus your energy." Arthur was getting stronger rapidly, and he was losing weight at an incredible rate! Because of DDP's specialized workout, he gained tremendous balance and flexibility -- which gave him hope that maybe someday, he'd be able to walk again. Hopefully this story can inspire you to follow your dreams - whatever they may be. Dare to Dream Ranch - Foster, RI At Dare To Dream Ranch we will help them with the life skills needed to become successful civilians by offering holistic and alternative healing programs. Our mission is to transform the lives of U.S. veterans by providing a multifaceted equine assisted therapy program to help them learn how to manage current situations and future challenges.